More Limoges pieces to Baccarat and Waterford vases, silverplated and pewter service pieces to hand blown Murano glass and cut crystal… its in here surrounded by beautiful art and awesome statement pieces. From the double tourchere art deco-style lighting to period bar cabinet, the Chippendale style dinning chairs and extraordinarily L-O-N-G Louis XVI style dinning table with 12 chairs! Whoa! We met our next great client last year after he decided to sell his great home in north Dallas and make the transition to downsize to downtown living! Now, he’s selling it ALL and only taking the dog.. come check out this great space and bargains the first weekend of March! This week we’re back in one of our favorite neighborhoods.. North Dallas!! We’ll be just a few streets west of Hillcest Road on Beltline Road. Please make sure to map it just in case street signage is missing! LOL! Stop by and check out this great home in a wonderful AND busy part of Dallas the Beginning of March J-U-S-T in time before day-light savings!! Come by and see us and say ‘hello’ to the gang! There’s something for everyone and it all has to go! A nice selection of coins this week.. Peace Silver Dollars to Roosevelt, Lincoln, Kennedy, and Washington proof sets. Indian Heads to Buffalo and Jefferson nickels, Mercury dimes, Barber quarters and assorted European coins to mention a few. Cartier boxes to Ray•Ban cases, Snap-On collectibles to Boy Scout badges and more..
From a Lotus electric guitar to the glitter hookah we have it all, man..! If your a ‘Snap-on’ tool enthusiast and accessories’ collector this is the sale for you! From limited series to bar ware, knives and car models to hats and more.. swing through this great home this weekend and see for yourselves! Handsome sofas and accent chairs to tables and more.. great area and accent rugs to collectible artwork throughout. Pop in and see for yourself! A beautiful table and hutch from the Millennium Furniture Company.. handsome slate and brass accents with a gorgeous chocolate colored leather for the chairs. Table has one leaf and six chairs.. a perfect addition for your home! Comfy seating to audio equipment.. it’s in here! There’s NO monkey business in estate sales LOL.. from Crate amplifiers, Pioneer subwoofers and LG speakers.. we have the great essentials for your media room! A portable Zenith DVD unit for the car to the DVD’s for it.. it’s in here! Stop in a see for yourself.. Rooted in styles from the ‘Old West’ we have a superbly handsome Connelly 8’ Billiards ‘Scottsdale’ Pool Table in a beautiful walnut color with a Texas themed cover to complete the look for your home. Two pub style tables with barstools for friends to hangout at and add that official game room vibe to any space! Groovy vintage Miller Lite ‘motion’ beer sign in great working condition.. scrolls right to left. Too cool! A great addition to any ‘man cave’ space.. several great ‘Snap-On’ tool themed accessories for the guys throughout the house.. come see! A great kitchen! TONS of bakeware, cookware to flatware, ovenware and gadgets.. it’s here! Food storage, utensils to the Ninja and Bullet mixers.. small appliances to meal supplements you have to stop in the kitchen and see for yourselves! Several refrigerators to choose from this week.. astainless steel Kenmore Elite side by side with bottom freezer in great condition, a GE ‘garage’ refrigerator to a mini fridge for your room! Snap-on collectors unite! Head here for those must haves.. we have it! Hats, model tricks to miniature tool boxes and more.. trash cans, stools to stickers and rockets. Swing through here to collect the best in collections! Ty Beanie Babies to M&M plush toys, board games and books to awards from sports.. great office furnitureadditions to souvenirs from abroad! Check ‘out m out! The Millennium Collection from Ashley furniture in an elegant Ivory colored bedroom set.. the Bed, Dresser and Nightstand with a marbled veneer top are available for your choice to the paisley comforter set with matching decorative pillows.. very rich in color! Just about all the bathroom and toiletry accessories one will need to furnish a new house with to a bit of everything in between.. pop back here to check it out for yourselves! Over the counter medications to lotions and beauty necessities.. it’s here! What a great health & beauty selection this week! From lotions, hair necessities to cosmetics, fragrances, yummy smelling candles and the everyday bath essentials.. some basic cleaning essentials and a little of everything in between. Stop in here to stock up! It IS one of the cleanest garages I’ve seen in a while! Literally almost every cleaning product known to man is out here! Come stock up this weekend for your cleaning lady.. or man!? Power tools to ladders, heaters and more.. Skilsaw, Ryobi, Mikita, Black & Decker to mention a few.. Snap-on toolbox to plumbing supplies and more. Levelers to propane, ammo and paint, air filters, Delta faucets to steelcase file cabinet.. we have it! Halloween to Christmas, art supplies and more.. even Triad paintball guns for gifts and more! Stop in the garage to see the variety this house has to offer! 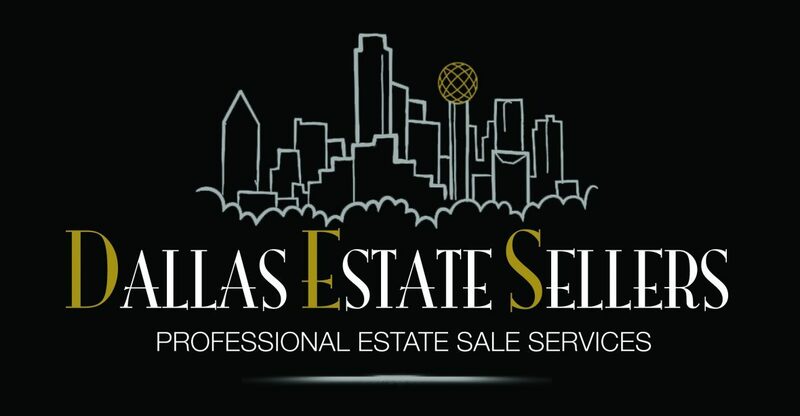 Take a moment and sign up at www.DallasEstateSellers.com to‘stay in the loop’ about our sales and preview information (when applicable)!! ONLY the people on OUR email list are privy to such information! Make SURE you are one of them!! !•! ATTENTION!! LIMITED street parking! PLEASE be aware of neighboring homes, driveways, fire hydrants or fire lanes and mailboxes, etc.. DO NOT block or impede these areas! Additional side street parking is available. Please be prepared to walk. The driveway is for loading of oversized items and furniture !•! We hope everyone made it through the holidays unscathed! We’re starting the the year by having the honor of doing one of our frequent shopper’s own personal estate after making the decision to downsize and make life a little bit easier! This awesome client has quite the eye for beautiful things and it reflects in their home. Being a lover of travel AND estate sales this week we have an amazing collection to offer you for your shopping experience! This week we’re back in one of our one of our favorite neighborhoods.. Addison!! We’ll be just a few streets south of Belt Line Road on Montfort Drive. Please make sure to map it because street signage will be limited due to city guidelines. Stop by and check out this great home in a wonderful part of Dallas the third weekend of January J-U-S-T before Martin Luther King Day! Come by and see us and say ‘hello’ to the gang! There’s something for everyone and it all has to go! ALL the pretty things are in the front room with Lila! if it’s pretty, it’s up here! Collectibles from occupied Japan, Vintage Japanese silk Geisha dolls and authentic Japanese decor, Antique Asian Bronze woven basket to hand-painted Japanese Porcelain centerpiece, vintage bamboo pagoda lamp, Foo dogs to hand painted chopsticks, hand carved wood sculptures and soap stone, 40’s Art Deco pressed glass perfume bottle and miniature perfume samples, an assortment of cobalt Limoges to a Limoges princess phone, Brighton to Avant-garde lacquer handpainted brooches to sterling candleholders and Neiman Marcus Sterling Salt and Pepper shakers, Wedgewood trinket trays and decorative porcelain ware, Murano Fratelli Toso mini vase to Collectible Ronald Reagan Mug, pewter soldiers, timed indiglo men’s watch to Western Boulder Hand knife and a Davis & Sons 16 gauge ‘Diana’ shotgun.. whoa! Other assorted glass and crystal pieces throughout the house by names like Fenton, Viking, Murano, COSTA BODA, SEA, Orrefors, Waterford, Fitz & Floyd and more..
Asian inspired to Traditional furniture throughout..a pair of Paul Robert armchairs, a Century Furniture Asian inspired dining table with eight chairs to Asian inspired side tables.. great brands and quality here this weekend for your shopping pleasure! A good selection of accent tables and decorative pieces to accent lamps in various colors, sizes and styles throughout..
Collectible pottery from Hull to Royal Haeger, decorative boxes to vases and vessels, great carved wood planters and Asian statues to blown and cut glass decor. TOO many things to mention throughout so you’ll just have to come by and check it out! A great kitchen! Bakeware, cookware to flatware, ovenware and gadgets.. it’s here! Wedgewood ‘Mikado’ and Mikasa ‘Barton’ china sets to silver plate.. vintage glassware and service pieces to cake plates, ice buckets and more! TONS of food storage, utensils to a full pantry and some barware, too! Stop in the kitchen a see for yourselves! BOOKS! BOOKS! BOOKS! A diverse selection of books throughout.. cook books, magazines, paperbacks to hardbacks.. stop in the office and see for yourself! A handsome tanker style desk to collectible office decor and accent pieces throughout to add to your own home. Steinbach and Holzkunst German nutcrackers, 13” Retrovision television with DVD player to a handful of LP’s, some CD’s and a TON of DVD’s to keep one entertained for D-A-Y-S! What a great health & beauty selection this week! Names like Henri Bendel, Givenchy to Oscar de la Renta to mention a few.. lotions, hair necessities to cosmetics, fragrances, yummy smelling candles and the everyday essentials.. some basic cleaning essentials and a little of everything in between. Stop in here to stock up! A handsome pair of Jensen Jarrah wood (Australian) chaise patio loungers, a swing for the swingers and a TON of pots, yard and garden decor to choose from. You’ll be in comfort just in time for the summer season here with us! One of the cleanest garages I’ve seen in a while! Pop in here for everyday tools and a few power tools, everyday chemicals and paints, yard essentials, rattan screens and office supply basics, silk florals, coral rock to coolers and wrapping paper.. it’s out here! ~Women’s Clothing: A lovely assortment/selection of ladies clothing and accessories.. great names like Eileen Fisher, Anne Klein, Jones New York, Cable & Gauge, Golden Bee, Ralph Lauren, TanJay, John Roberts and Amanda Smith, Escada, Northern Light, Judith Hart, Victoria Jones, Parsley & Sage to Orvis and St. John Sport to many other great brands (sizes M/L).. Shoes by Coach, Kenneth Cole, Timberland, Clarks, Etienne Aigner, Meucci and Merrell (sizes 8/8.5ish).. come check them out! ~Men’s Clothing: Awesome men’s closet this week.. names like Yves Saint Laurent, Austin Reed, Nautica, Lord & Taylor, Tasso Elba, Versace, Pendleton, Nordstrom, Calvin Klein, Ralph Lauren, Polo, Izod, Old Navy to NorthFace (sizes M/L).. Shoes by Cole Haan, Clarks, Bass to Nike (sizes 11.5/12ish).. great coats and leather jackets.. names like Armani, Marc, JG Hook to Pringle and Pendleton.. come check them out! We’ve been sooooo fortunate this year with starting over. A heartfelt thank you to our followers, customers, clients and friends we’ve made along the way.. you’ve made this a year to remember! This week we’re back in one of our one of our favorite neighborhoods.. Preston Hollow!! We’ll be just a few streets north of Royal Lane on Midway Road. Our last sale of the year comes as a referral from our first sale earlier this year.. LOVE IT!! Stop by and check out this great home in a wonderful part of Dallas the last weekend of December J-U-S-T before 2-0-1-9! Come by and see us and say ‘hello’ to the gang! There’s something for everyone and it all has to go! ALL the pretty things are in the front room with Lila! TONS of costume jewelry, some vintage and some newer.. Chico’s, Monet, Susan Caplin for D’Orlan, BSK, SAC, MONET, Dior, Talbots, ROMAN and Trifari to mention a few, some 10K and .925.. even Jade, Coral and Freshwater Pearls, Swarovski jewelry, the Vatican library collection and others. Assorted crystal figurines by Swarovski, Lindshammar, KOSTA BODA & others to a small Tiffany carriage clock.. if it’s pretty, it’s up here! Other assorted crystal pieces through the house by names like COSTA BODA, Orrefors, Tiffany & Co, Waterford and more.. Traditional furniture throughout.. great names like Durham bedroom furniture in a warm walnut, a handsome Antiques Roadshow dining room table with chairs and a matching sideboard. Drexel guest bedroom furniture to a Stanton Cooper Sofa, Fairfield wingback chairs to a Western German grandmother clock.. great brands and quality here this weekend for your shopping pleasure! If your in need of lighting we HAVE it! Great accent lamps in every color, size and style throughout.. separates and pairs! A great selection of accent tables, decorative pieces and curios for your collectibles! Stop here and shop with us this weekend! A great kitchen! Bakeware, cookware to flatware, ovenware and gadgets.. it’s here! Great collections of leaded crystal and silver plate to mention a few.. a nice collection of the ever popular Franciscan ‘Desert Rose’ or Gibson dishes to pressed glass, vintage glassware and service pieces to cake plates, ice buckets and more! Office decor and decorative accent pieces throughout to add to your own home just in time for your holiday parties! A handsome desk from .. with a great leather office chair to choose from! Beautiful patio furniture separates this week in good condition.. even a rocker to swoon your date! You’ll be in comfort just in time for the summer season here with us! Basic cleaning essentials to Whirlpool washer and dryer set.. party supplies to hobby and a little of everything in between. Appliances for your choice.. classic Whirlpool refrigerator in white.. Kenmore self-Cleaning oven and a GE Spacemaker cabinet mount microwave to a Whirlpool stainless steel dishwasher..
~Women’s Clothing: A lovely assortment/selection of ladies clothing and accessories.. great names like Chico’s, Kate Spade, Anne Klein, Ellen Tracy, Tahari, John Meyer, Jennifer Lopez, Sunny Taylor, Jones New York, Carole Little, Mystique, Coldwater Creek to other various brands (sizes vary 16/18 or 1X/2X).. Shoes by Liz Claiborne, Ellen Tracy, Enzo Angiolini, Coldwater Creek to Eastland (sizes 8-9ish).. come check them out! Happy Holidays everyone!! We’ll be in the beautiful neighborhood of Castle Hill Estates this week just south of the Sam ‘Rayburn’ toll road off Josey Lane near Parker Road. Our next awesome client came as a referral to us earlier this year and after getting their home sold we’re able to help them downsize to their next BIG adventure! We are more than excited to be able to help them out! Stop by and check out this great home in this beautiful subdivision the third weekend of December J-U-S-T before Christmas! Come by and see us and say ‘hello’ to the gang! There’s something for everyone and it all has to go!